New player giftpack includes 58Gold + Stage 1 strength potion + Stage 1 volition potion + Stage 1intelligence potion. Each Code can be only used once by each character at each server, over-claim won’t work. 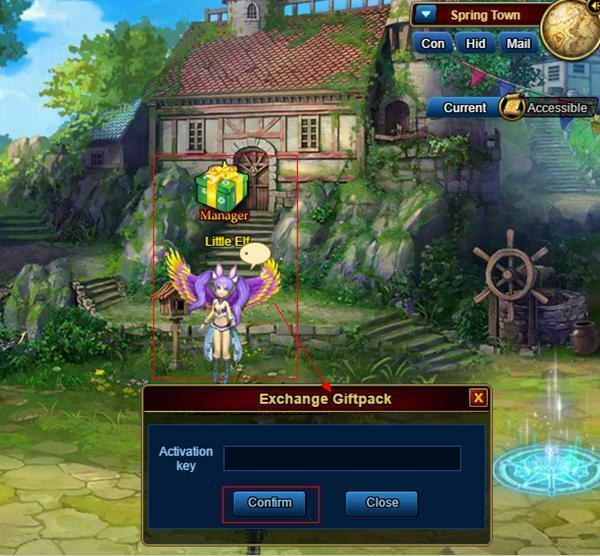 4.New you have received your gift package, open Bag to check it out!Isn’t easy? Have a great time in the game!